The advanced WinRT imaging technology in LEADTOOLS will include everything developers need to build imaging enabled Windows Store applications including support for loading and saving over 100 file formats, PDF and PDF/A, touch screen enabled viewer controls, annotations and image processing. With Windows 8 now here, developers are eager to start working on the next generation of applications. LEAD Technologies, the award winning provider of imaging development toolkits, is ahead of the game and has released its new WinRT SDK that will help any developer interested in getting a head start at developing imaging enabled Windows Store applications for desktops, tablets and Windows Phones. The advanced WinRT imaging technology in LEADTOOLS includes everything developers need to build imaging enabled Windows Store applications including support for loading and saving over 150 file formats, PDF and PDF/A, touch screen enabled viewer controls, annotations and image processing. The viewer controls work seamlessly with the new Windows Store application style and feature multi-touch input and interactive modes such as Pan, Scale, Pinch & Zoom, Magnifying Glass and annotations. Beyond the standard image display and processing functionality, LEAD has also ported its advanced OCR, Barcode, PDF, DICOM and PACS technology into native WinRT libraries allowing your image enabled Windows Store applications to run at maximum efficiency. In the following example, we will implement the basic foundations of any image enabled application: loading, displaying, processing and saving an image. LEADTOOLS makes all of this possible in only a few lines of code with its fully-featured, high level and programmer friendly controls and classes. Saving an image is done in a similar manner as loading an image and makes use of the FileSavePicker and its built-in asynchronous events to get the file object to which RasterCodecs.Save can write the image data out as a stream. There you have it: a solid foundation for developing image enabled Windows Store applications. With LEADTOOLS, developing the next generation of powerful, fast and fully-featured Windows 8 desktop, tablet and mobile phone apps is right at your fingertips. LEADTOOLS provides developers with access to the world’s best performing and most stable imaging libraries in an easy-to-use, high-level programming interface enabling rapid development of business-critical applications. Its WinRT SDK is only one of the many technologies LEADTOOLS has to offer. For more information on our other products, be sure to visit our home page, download a free fully functioning evaluation SDK, and take advantage of our free technical support during your evaluation. Need help getting this sample up and going? Contact our support team for free technical support! 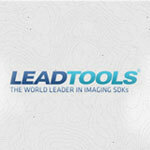 For pricing or licensing questions, you can contact our sales team (sales@leadtools.com) or call us at 704-332-5532. Help desk / Support LEAD Technologies, Inc. Since 1990, LEAD has established itself as the world's leading provider of software development toolkits for document, medical, multimedia, raster and vector imaging. LEAD's flagship product, LEADTOOLS, holds the top position in every major country throughout the world and boasts a healthy, diverse customer base and strong list of corporate partners including some of the largest and most influential organizations from around the globe. For more information, contact sales@leadtools.com or support@leadtools.com.